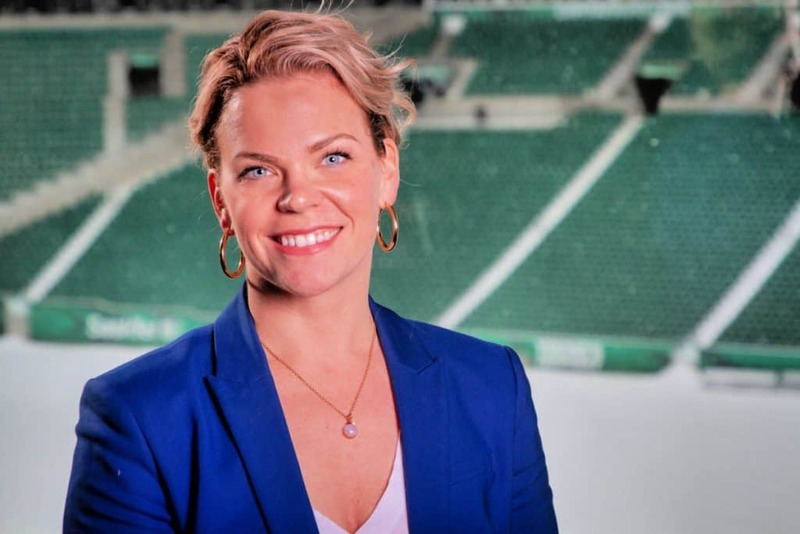 We are pleased to announce that Miriam Johnson, the Director of Marketing for the Saskatchewan Roughriders Football Club, will be attending and speaking at our Western Canada Leadership Accelerator in Regina, September 25-27, 2019. As the Director of Marketing for the Saskatchewan Roughriders, Miriam oversees all marketing, digital media, community relations and data functions for the organization. Approaching her 4th season with the club, Miriam has led the creation and execution of monumental campaigns for the club including Farewell Season at Historic Mosaic Stadium and the Inaugural Season at new Mosaic Stadium which opened an entirely new chapter for the club’s operations in its new state-of-the-art home. Born and raised in Wichita, Kansas, Miriam moved to Canada in 2004 and started her career in Marketing in Kelowna, BC. When asked, she will give credit to a strong start to her career from her experience at a local marketing agency where she managed a range of clients in both the private and public sectors and gave her great insight to the needs of different businesses. Fast forward 14 years of consistent growth in diverse marketing roles, and Miriam's leader path has led her to this challenging and fulfilling position stoked with opportunity, possibility, and many lessons learned and to be learned. Don't miss out! Our previous three leader development + high-calibre networking lunches in Regina and Saskatoon have SOLD OUT. Only 250 passes will be sold. REGISTER NOW to guarantee your spot for this stellar event hosted at EVRAZ Place. SEPT 25-27, 2019 Early Bird Passes on Sale NOW!